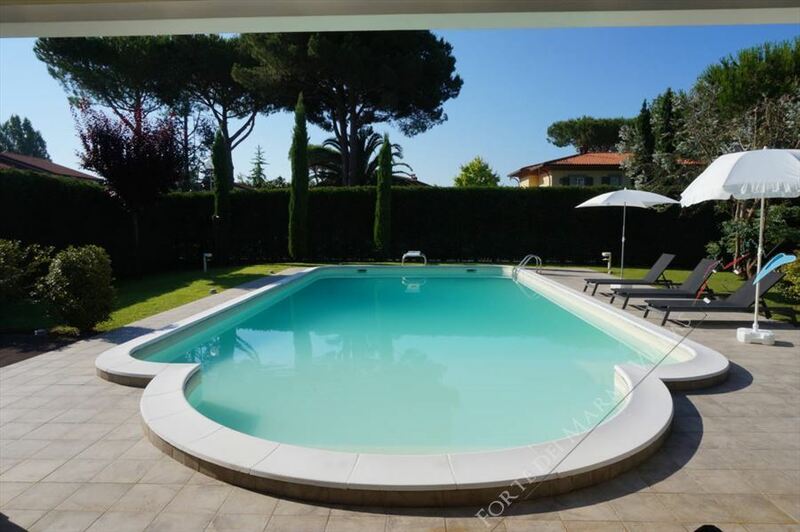 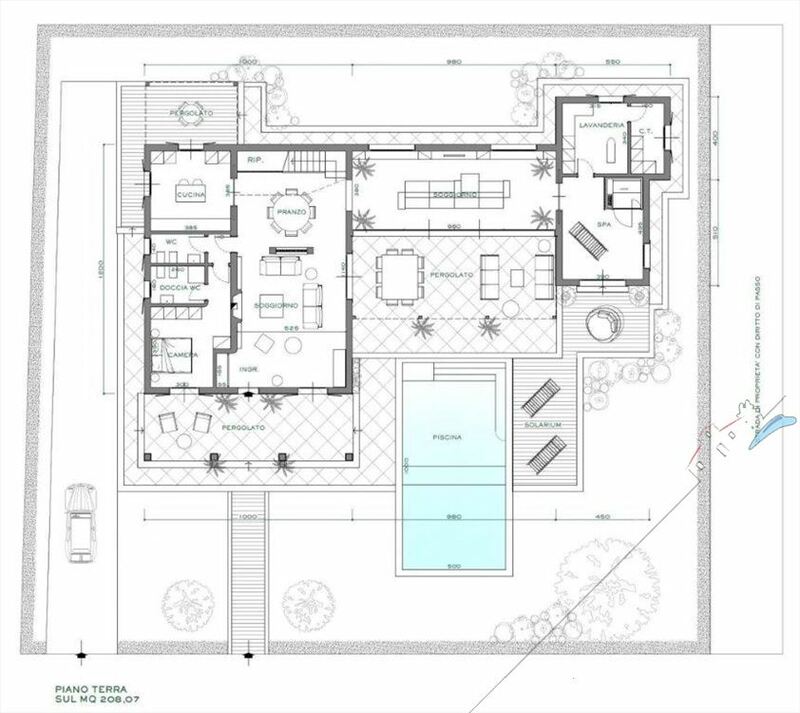 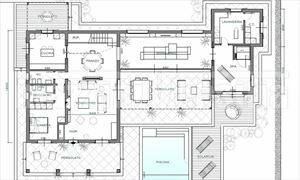 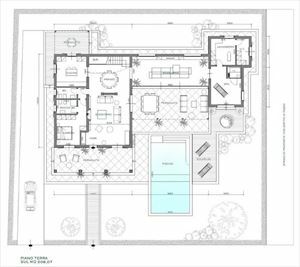 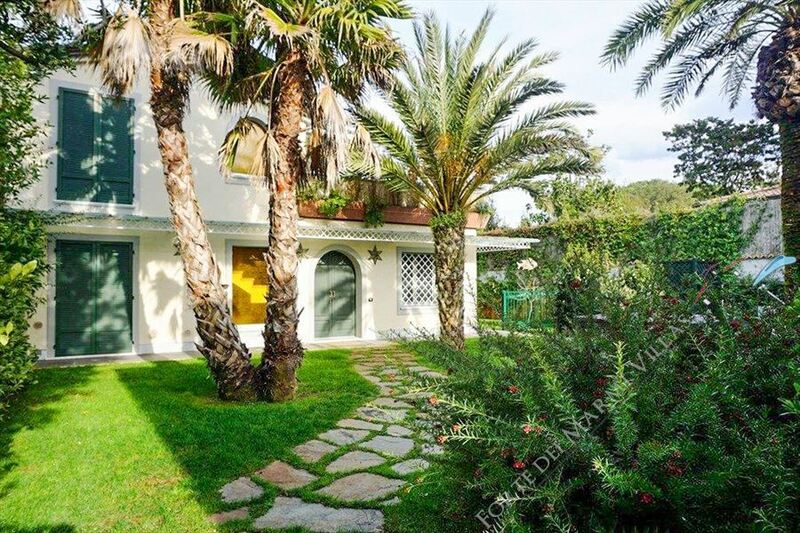 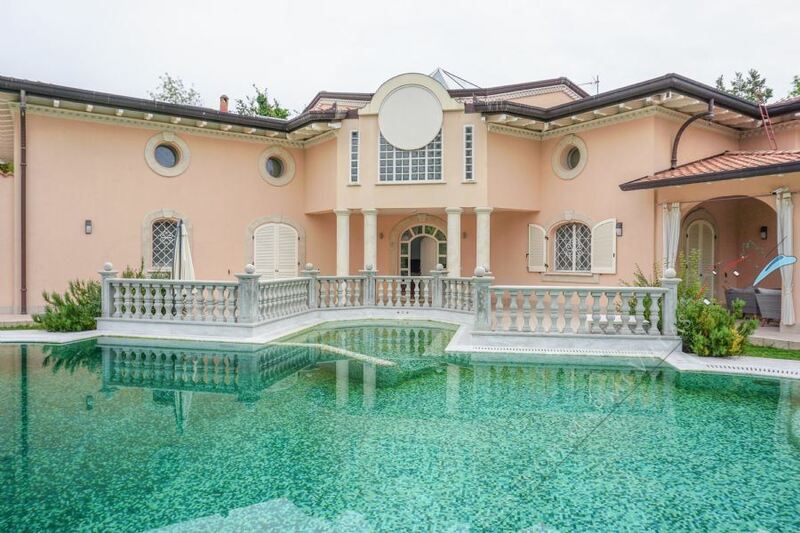 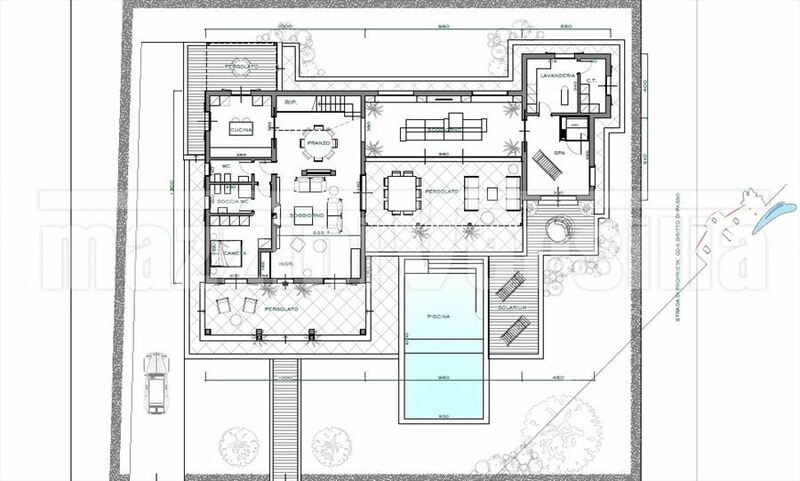 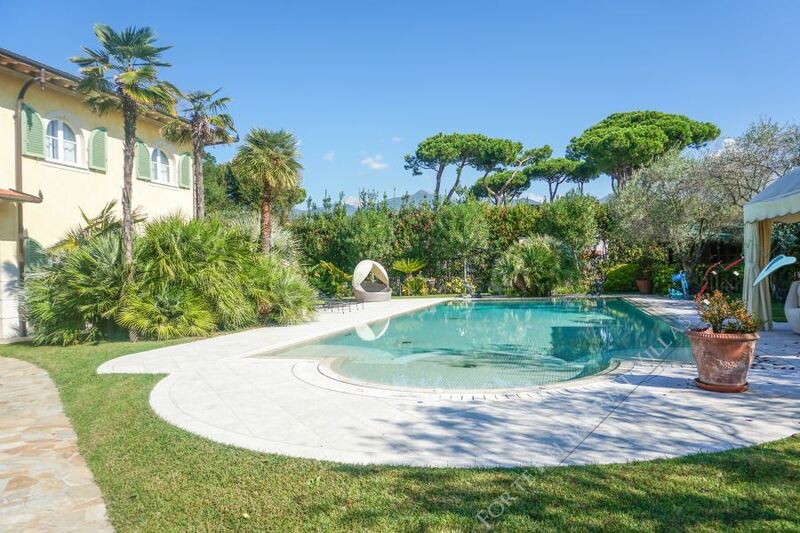 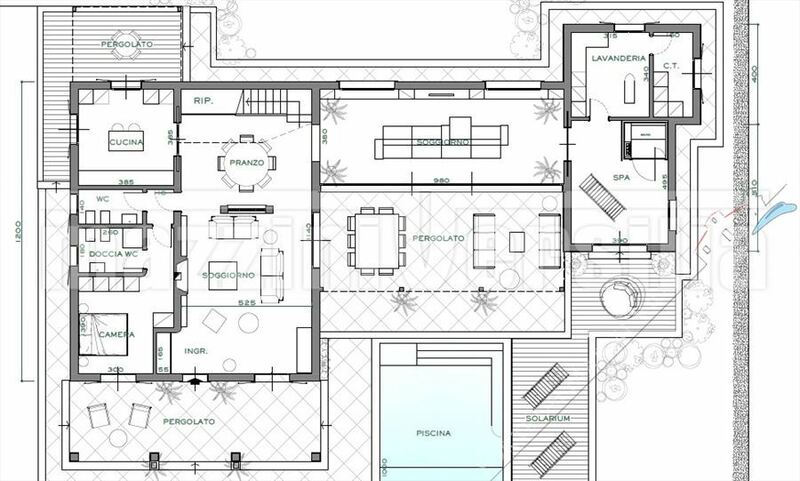 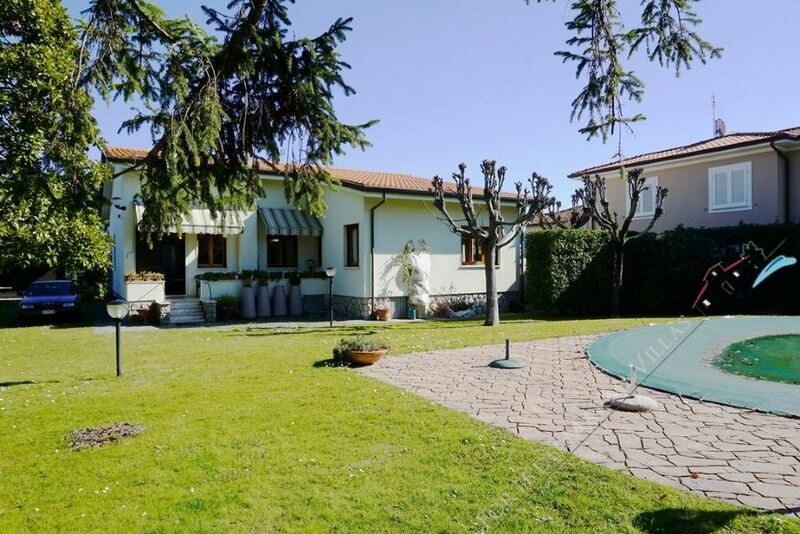 A detached villa under reconstruction with a parcel of land (1200 sqm) and a pool located in Forte dei Marmi (area Vittoria Apuana) at a distance of about 1 km from the sea. 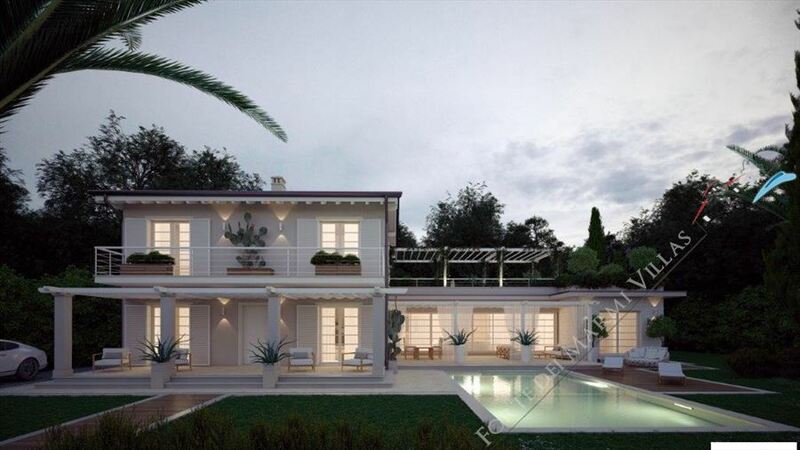 There is a possibility to personalize the project with choosing of finishing materials or to buy the turnkey project. 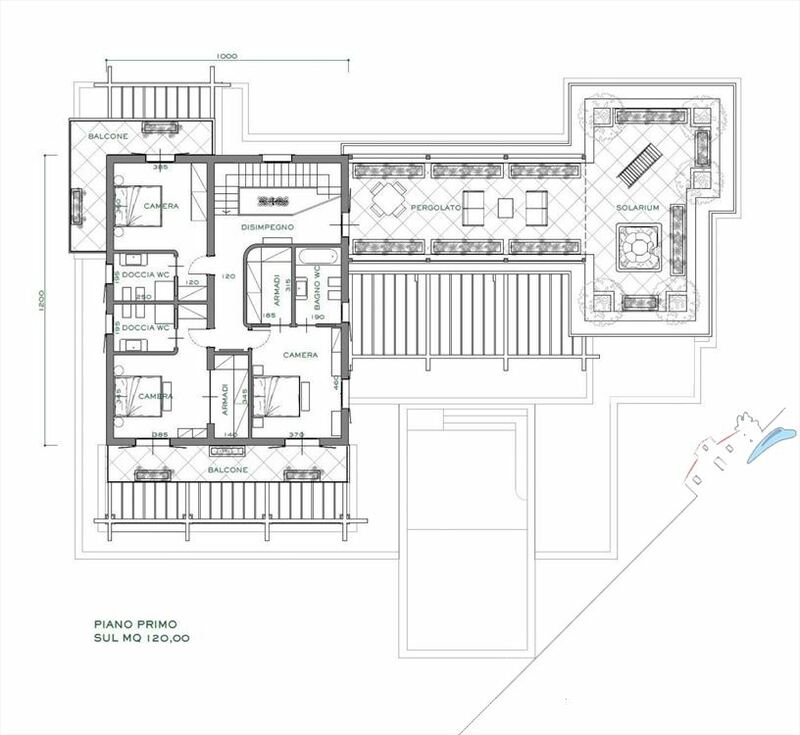 The ground floor of the main building (325 sqm) consists of three covered terraces, entrance hall, two living rooms, a dining room, a spacious kitchen with an independent access to the terrace, a bedroom with ensuite bathroom with shower, guest bathroom and a pantry. 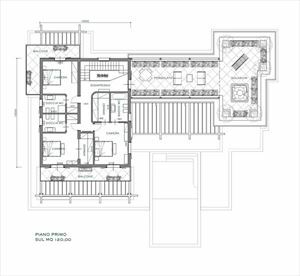 The upper floor includes 1 bedroom with wardrobe and bathroom with bathtub; 1 bedroom with wardrobe and bathroom with shower; 1 bedroom with bathroom with shower. 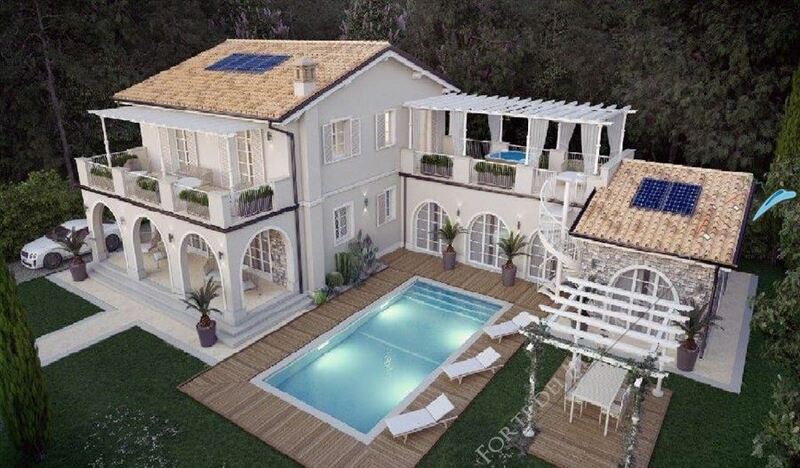 All bedrooms have entrances to the terraces. 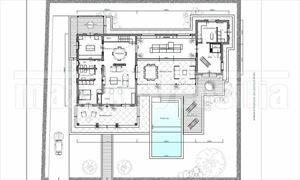 The one-story wing of the house (50 sqm) comprises spa area, utility room, laundry room. 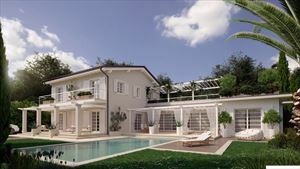 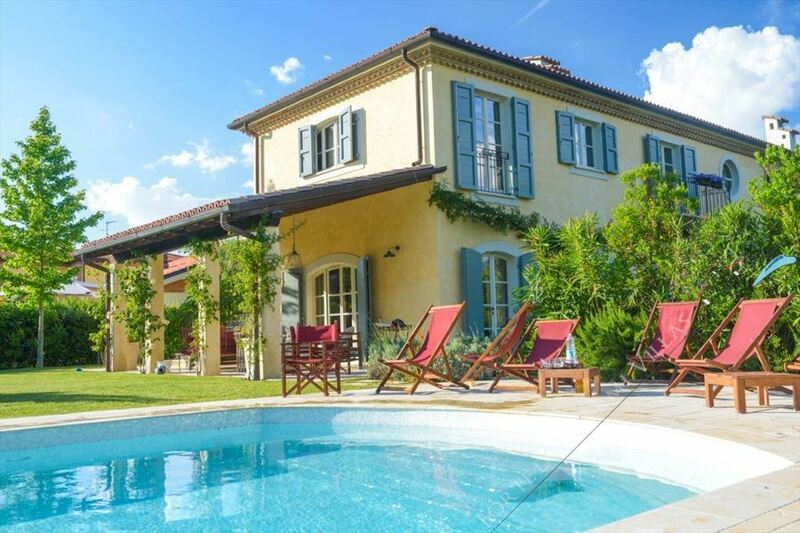 The villa is to be sold after all construction works are completed.